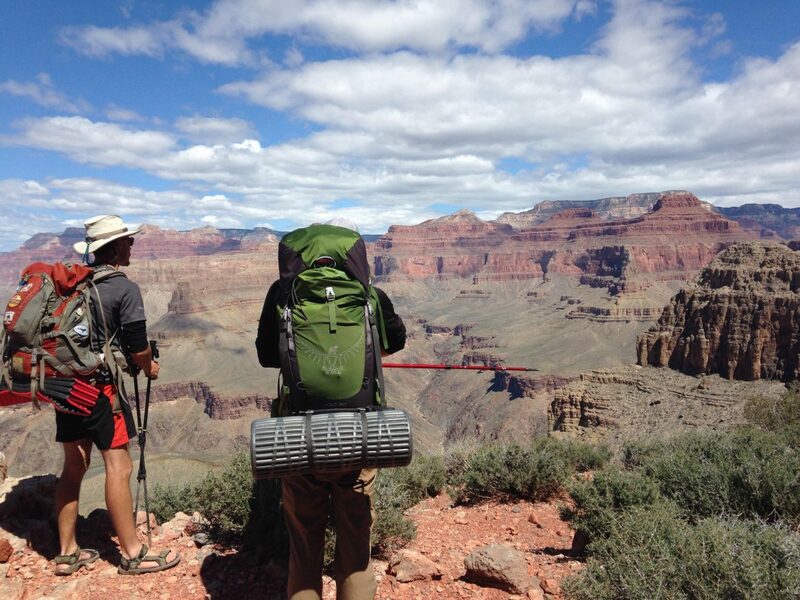 Hiking down to the Colorado River is one of the most rewarding things to do at the Grand Canyon; after all, the river is the whole reason for the Canyon’s existence. Seeing the River up close and personal gives meaning to what you see from the rim. 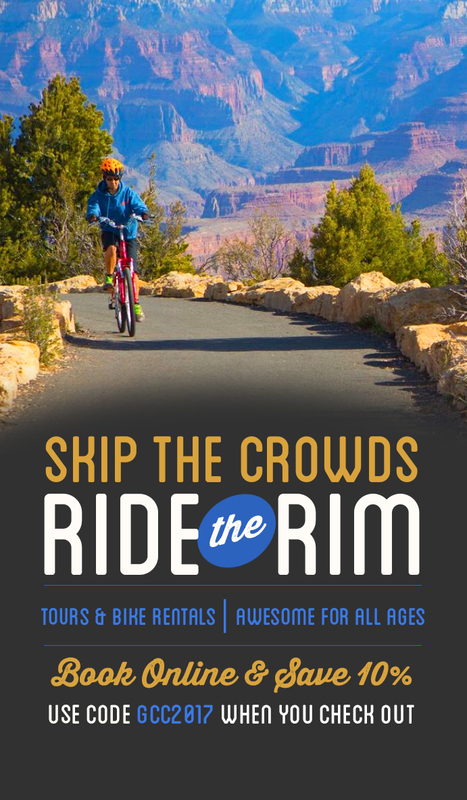 The most popular way to get from the South Rim to the Colorado River is via the South Kaibab or Bright Angel Trails. These provide great and smooth hikes to the river, but a less traveled, and possibly more rewarding- since you end at one of the fiercest rapids- is the hike down the Hermit Trail to Granite Rapids. Granite Rapids is so loud that visitors can hear it from the rim of the Canyon on quiet days. Also, it was formed in one evening in 1984 after a monsoon storm brought down boulders from the canyon walls and deposited them into the river. 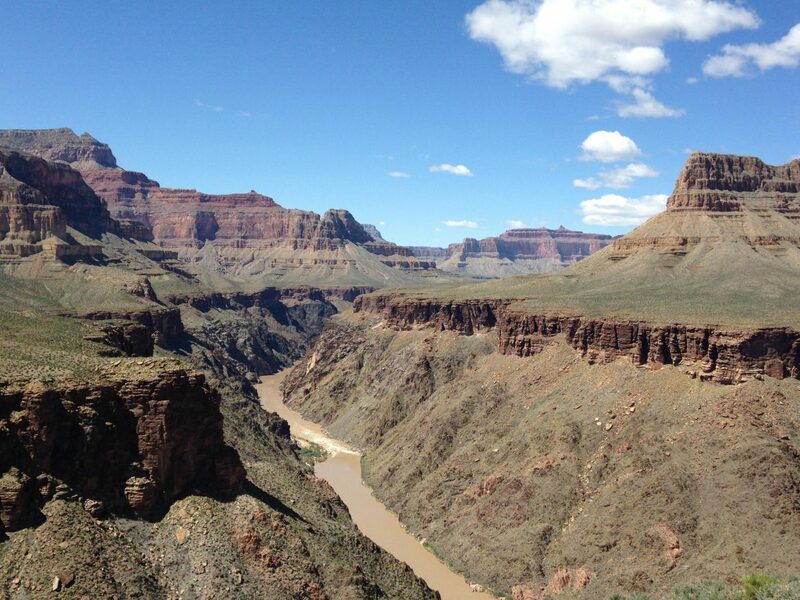 It is a real force of nature and shows the power of the erosion on the canyon. 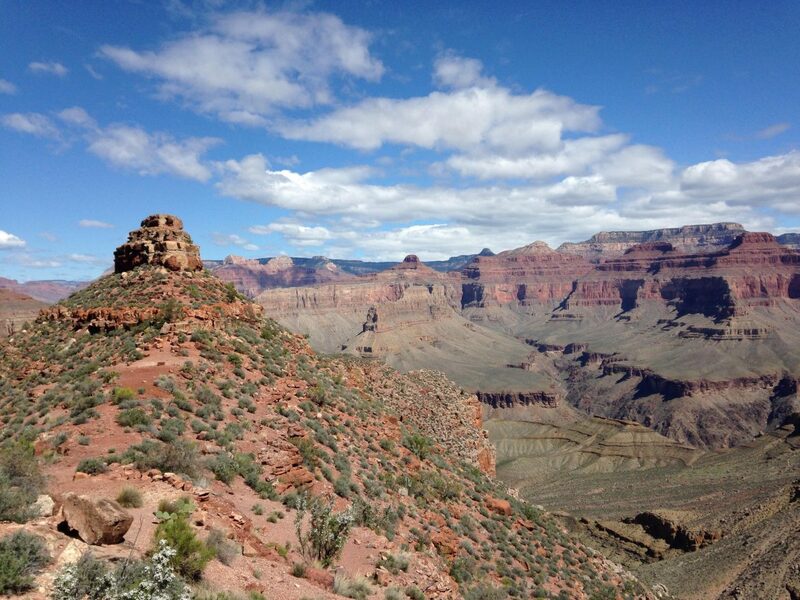 The Hermit Trail starts at the end of Hermit Road, past the Village of the South Rim. If hikers get a back country permit to camp at one of the many campsites along the way, they gain access to the gate code to drive on Hermit Road with their personal cars. Hermit Trail is more rugged and less maintained than the other trails near the Village, but still very clear where the trail is. Along the way, are popular day hikes to Dripping Springs and Santa Maria Springs. (Note: these springs are not enough to provide substantial water for hikers, still bring plenty of water with you.) Signs for Monument Creek will lead to one of the campsites on the trail, and from there it is a quick 2 mile hike through a dried up creek bed to Granite Rapids. 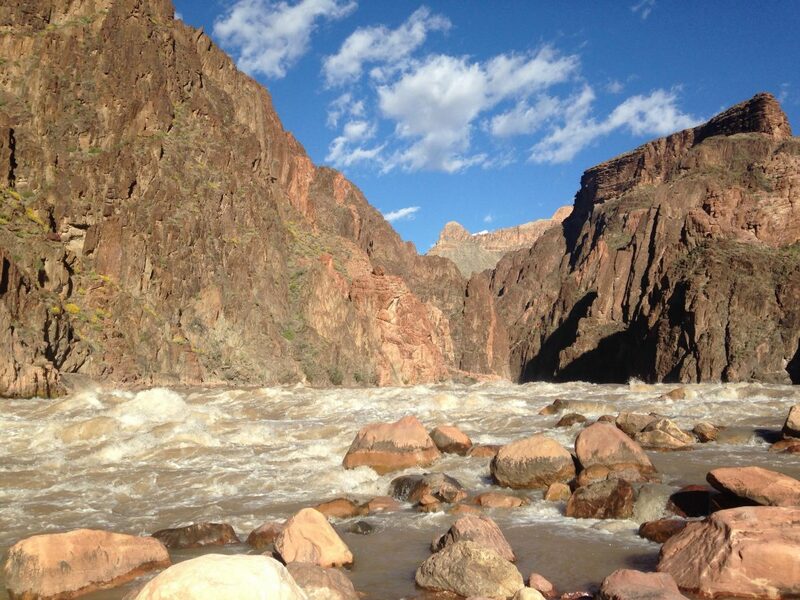 Seeing the Colorado River so close is truly a treat. Hearing the Colorado River so loud is almost deafening. This rapid helps define the River, and puts the power of it into perspective.